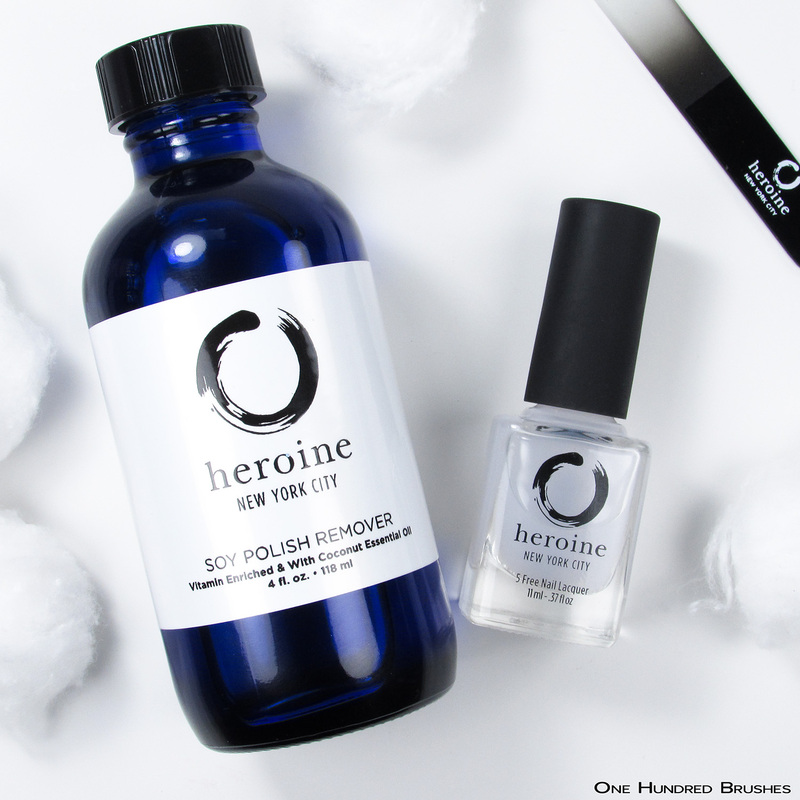 Today, I have two products from Heroine NYC to share with you! 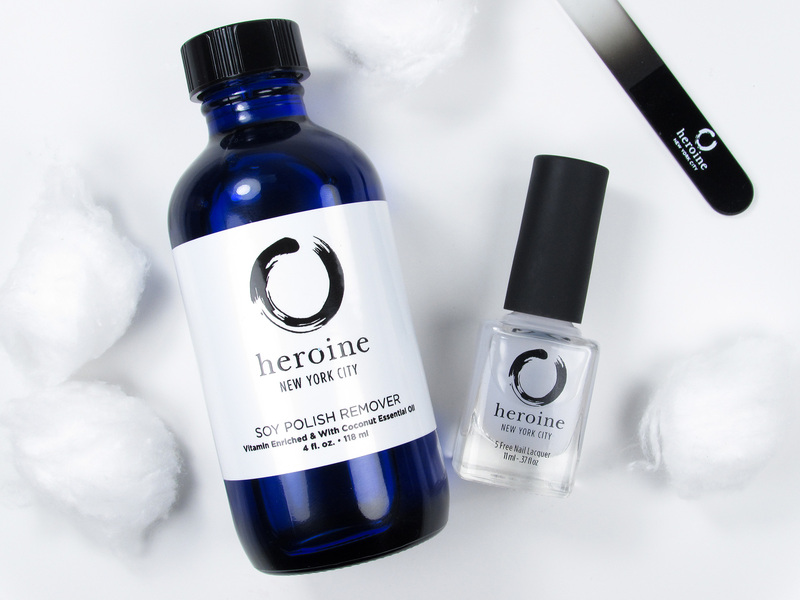 The first is their new matte top coat and the second, a soy-based nail polish remover. Let’s take a look! 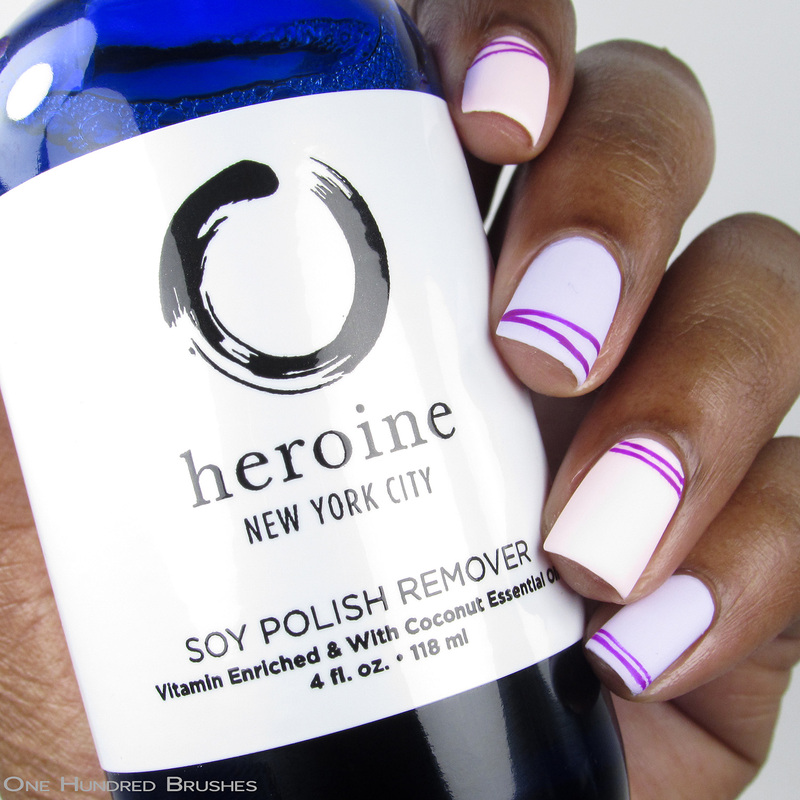 The Her Matte-Jesty matte topcoat from Heroine NYC simply removes the glossy glow from a polish without dulling out the color. Below, I used Heroine’s Liliac It, Sugar Spun and Touch-Me-Not first with a glossy topcoat and then further down with their new matte topcoat. You can see that the matte coat does not steal away the vibrancy from the color but only takes away the shine. I only used one coat of matte topcoat. In using this remover, I found it on much more on the oily side than your usual acetone based remover. To use, soak your cotton ball and wipe over your nails. You need to allow the oils to penetrate your polish before trying to rub it off. The removal method isn’t as quick, but it is effective. I used it to remove the mani below and after allowing the remover to soak it, it really didn’t need that much scrubbing off. 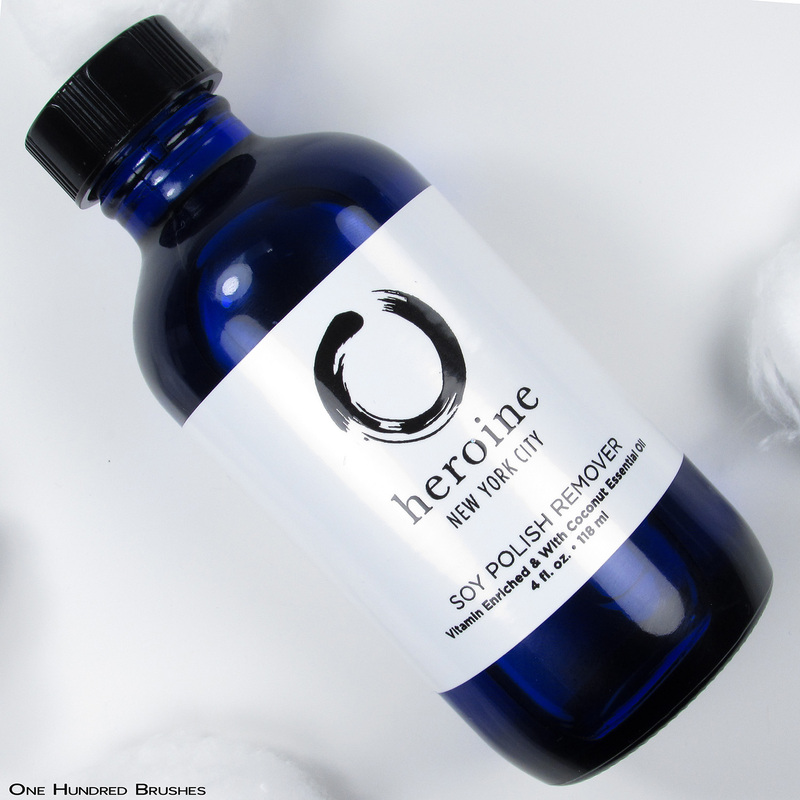 It left my fingers oily and moisturized and I would gladly recommend it as an alternative as long as you are aware that it does require a bit more time to work than acetone based remover. As a swatcher who has to change polishes within minutes, this wouldn’t be a good option for me. 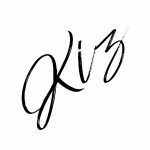 The time it takes and the oiliness wouldn’t make it an efficient practice for me personally. 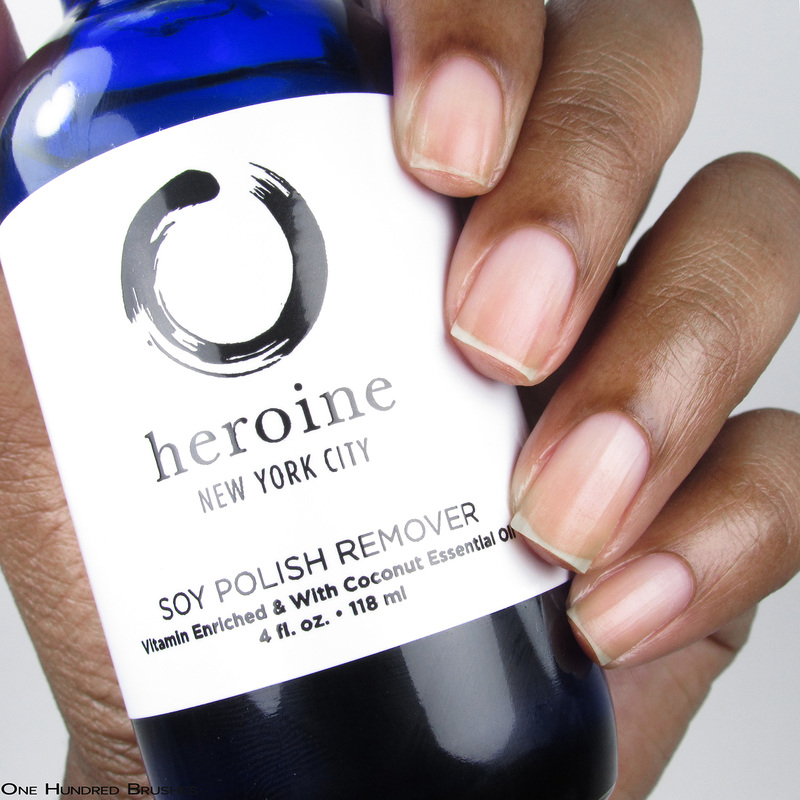 The Her Matte-Jesty matte topcoat and Soy Polish Remover can be purchased from Heroine NYC!